Look, the head equipment manager for the Denver Broncos knows his stuff. There's probably a pile of it waiting for you right now. As long as humans wear clothes, laundry day will be one of the most important days of the week. Consequently, laundry detergent becomes one of our most important purchases. You may spend so much time juggling dirty socks in one hand and a handheld steamer in the other, that you'd rather have a laundry-room makeover than a living room remodel. Fortunately, though, choosing a detergent doesn't have to be that stressful. Also available at Target, Walmart and CVS. As a Forbes Five-Star Hotel, The Little Nell in Aspen has sky-high standards. That's why Gioanna Villabrille, the director of the property's housekeeping and health center, uses Seventh Generation for guest laundry (she uses commercial-grade detergent for tablecloths, rugs and linens). 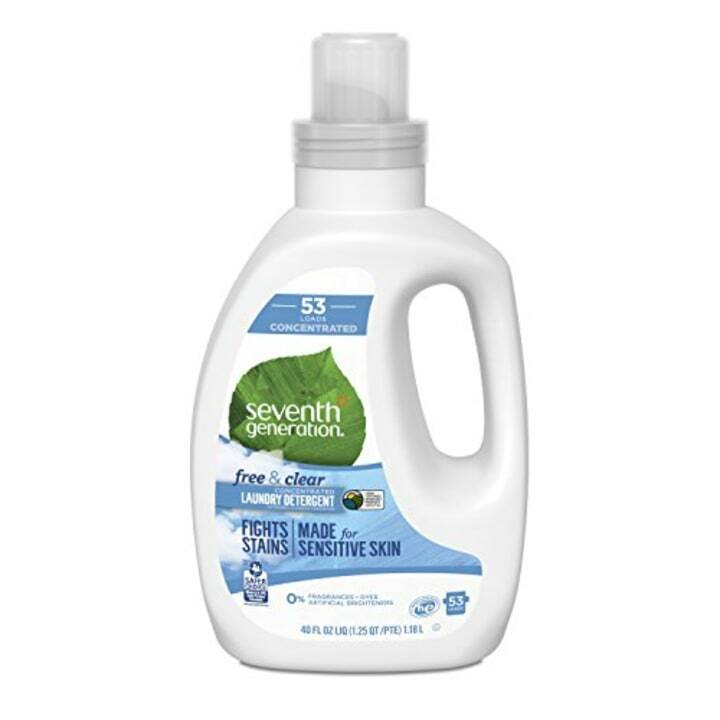 "Seventh Generation is clear, unscented and good for sensitive skin," said Villabrille. At Target.com, this popular dye-free, bleach-free and paraben-free formula has nearly 3,000 reviews and close to a 5-star rating. For the youngest guests at The Little Nell, Villabrille relies on Dreft. "It's hypo-allergenic and the best for babies." 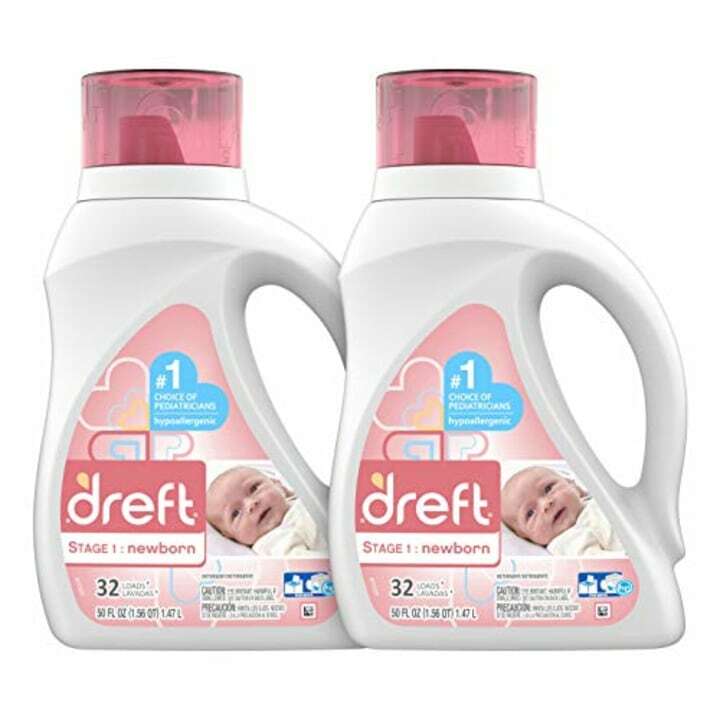 Dreft, beloved by moms for more than 80 years, claims to be the No. 1 pediatrician and dermatologist-recommended baby laundry detergent. With its signature formula specifically designed for infants, it's as gentle on skin as it is tough on getting out stubborn baby food stains. On Amazon it has a 4.3-star rating from nearly 550 reviews. Celebrity fans, and Dreft partners, include Kevin Jonas and Kelly Rowland who said she uses it on her own clothes so she's reminded of her son wherever she goes. Also available at Target, Walmart and eBay. "I am in the VERY sweaty clothes industry," admitted Sydney Rosenberg, co-founder of spncycl — a laundry service based in Washington D.C. for gyms and fitness studios. Rosenberg only uses HEX detergent, both at home and for her business. 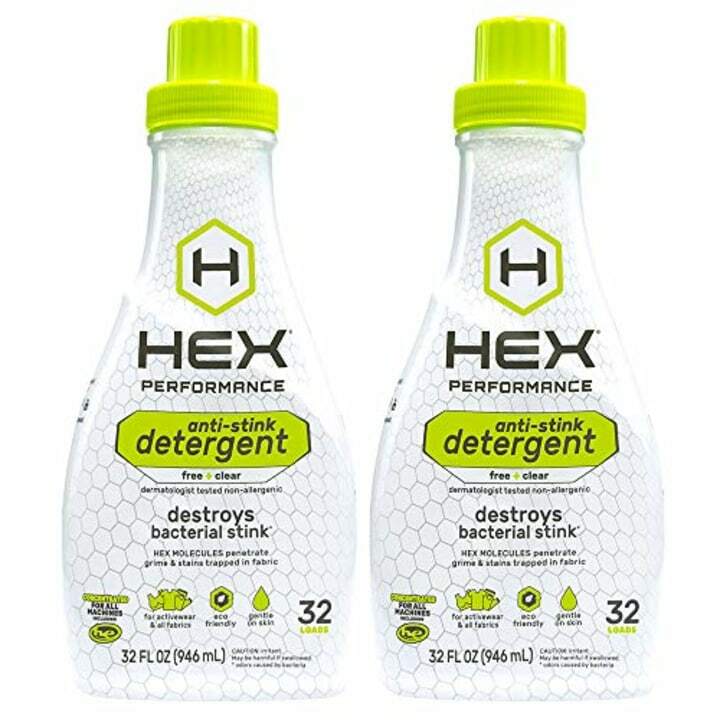 "I love HEX because it actually removes the sweaty smell from clothing while other detergents only mask the odors. We have even found it to remove pre-existing odors," she told TODAY Home. Rosenberg also appreciates that HEX is designed specifically for workout and athleisure apparel. It doesn't wear away at the material or the clothing's properties such as elasticity, as much as traditional detergents. Also available at Target, eBay and Lucky Vitamin. Natalie Wise, the author of "The Modern Organic Home: Recipes and Tips for Cleaning and Detoxing Your Home," is proud of the fact she uses powder. For starters, her favorite detergent of many years is eco-friendly. "Nellie's is very concentrated, so you only need about one tablespoon per load. And it doesn't contain water, so you aren't shipping water across the country to get this in stores or to your house," Wise said. Nellie's all-natural laundry soda dissolves completely in any temperature of water and is compatible with HE-washers. "The modern-retro packaging is an extra bonus," added Wise. "It looks great on your laundry shelf, is refillable and can be recycled when you're done." On Amazon, Nellie's has nearly 1,500 reviews and an impressive 4.6-star rating. Also available at Target, Walmart and Staples. As head equipment manager for the Denver Broncos for more than two decades, Chris Valenti is no stranger to tackling laundry so dirty most of us would probably toss it. Valenti uses Tide Professional and told TODAY that it clean uniforms thoroughly, while also extending the lifespan of players' towels. "We used to get a bit of yellowing throughout the course of the year and needed to order more at the end of the year because of that," said Valenti. "Now towels seem to stay whiter and are actually even a little fluffier." Unfortunately, Tide Professional is only available to laundry professionals. 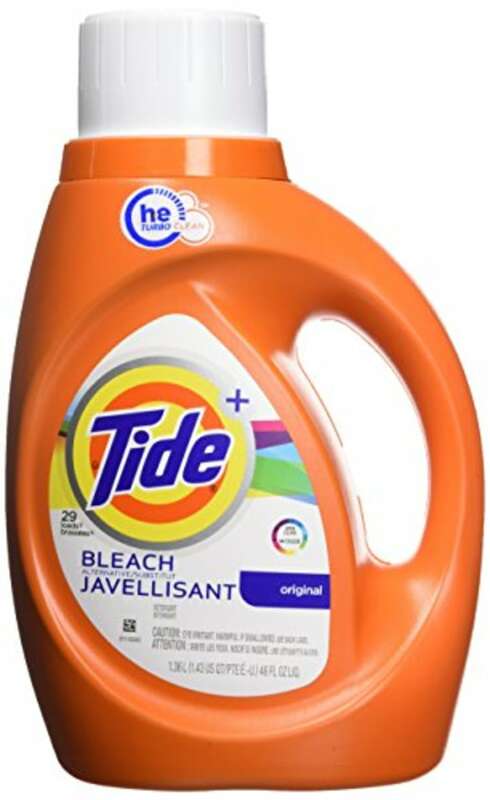 A consumer-facing alternative, however, is Tide with bleach. Jack Prenter, owner of the housekeeping company, ChoreBliss, said it makes light work of wine, coffee and lipstick stains. "Even though it contains bleach and is a tough cleaner, it's perfectly safe to use on colors," added Prenter. "While not recommended, the reality of the situation is that many homeowners are busy and often mix colors with whites to save on time. Therefore, it's vital that any detergent you use is safe for both whites and colors."